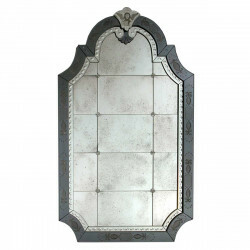 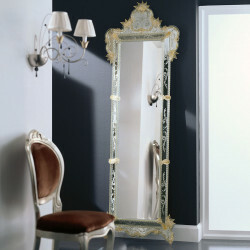 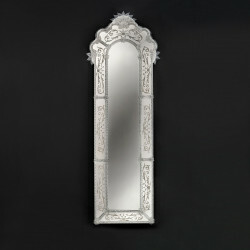 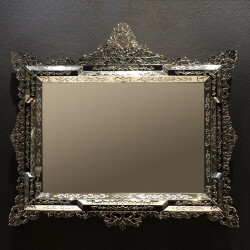 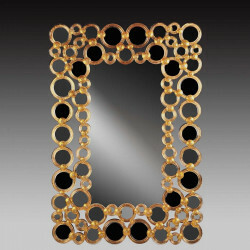 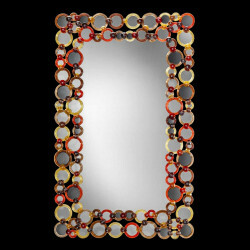 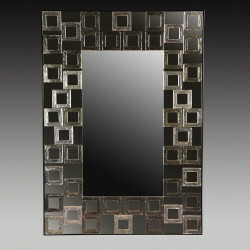 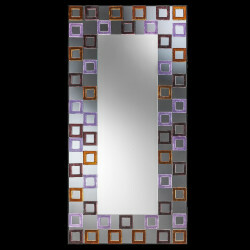 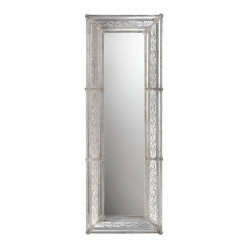 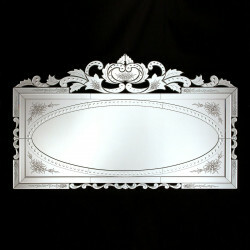 Precious and complex, this genuine Venetian mirror is a true feast to the eyes. 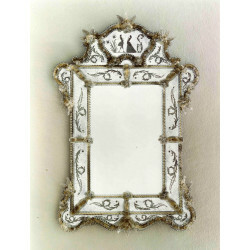 The cutout details along the frame give it a luxurious twist, made more tasteful with the use of clear glass embellishments. 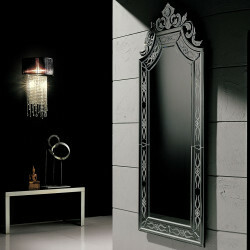 The frosted glass gives the mirror a nice touch while authentic Murano glass definitely completes the look. 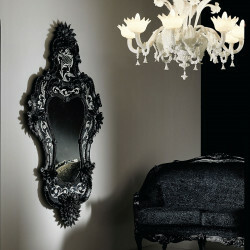 Works well on both light and dark colored walls as an accent.